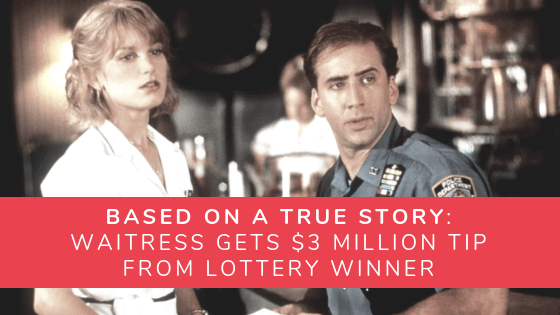 Lottery Winners: 10+ Unbelievable Stories of Lottery Winners! If you want to live comfortably for the rest of your life, winning the lottery puts you in the express lane. The reality, however, is that we can’t all be winners. Out of millions of people, only a select few are graced by lady luck. It’s tough—but that’s why we celebrate the wins of others. Here, you can find out more about the latest lottery winners, their stories, and more! The Biggest Winners: Where Are They Now? Have you ever wondered what happened to the biggest lottery winners of all time? Where are they now? Are they still millionaires or did they fall victim to the lottery curse? In this article, we answer these questions, and more! If you won the lottery, what’s the first thing you would buy? Some would say a house or a new car. Others would pay off their loans. And then there are the truly weird ones. 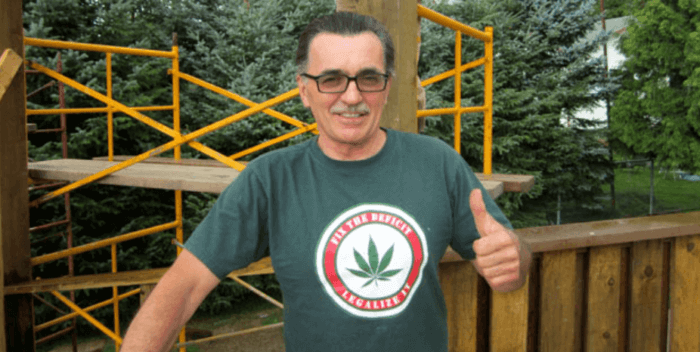 People like Bob Herb—who used his money to campaign for marijuana legalization—think way out of the box! Would you have thought about creating a niche wrestling TV show featuring scantily clad women? How about buying new cars and using them in demolition derbies? Only these winners had the audacity! Believe it or not, many young people have won the lottery. And we’re not talking about just a few hundred dollars here. These youngsters have become millionaires even before turning 30! Get to know who these lucky winners are—from 20-year-old Shane Missler to the now-infamous Jane Park, and more! 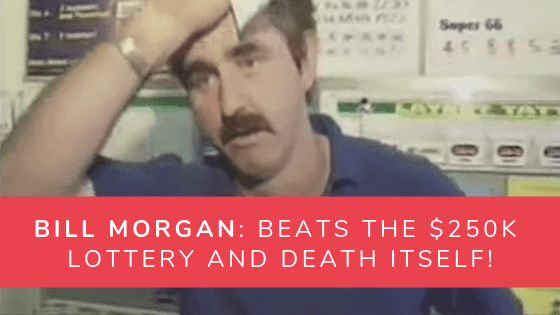 Australian lottery winner, Bill Morgan, is arguably one of the luckiest people on earth. He won the lottery two times – one of which was for A$250k, and was broadcast live on national television. What are the odds of that happening, right? But that’s not where Bill’s good fortune started. His story of good luck began, interestingly enough, with his death! James Allen Hayes won the $19 million California SuperLotto jackpot in 1998. For the next two decades, he had a guaranteed annual income of $684,000. He was 35-years-old then, which meant that he was practically set for life—especially if he made some smart investments down the road. Unfortunately, life had other plans for Hayes. 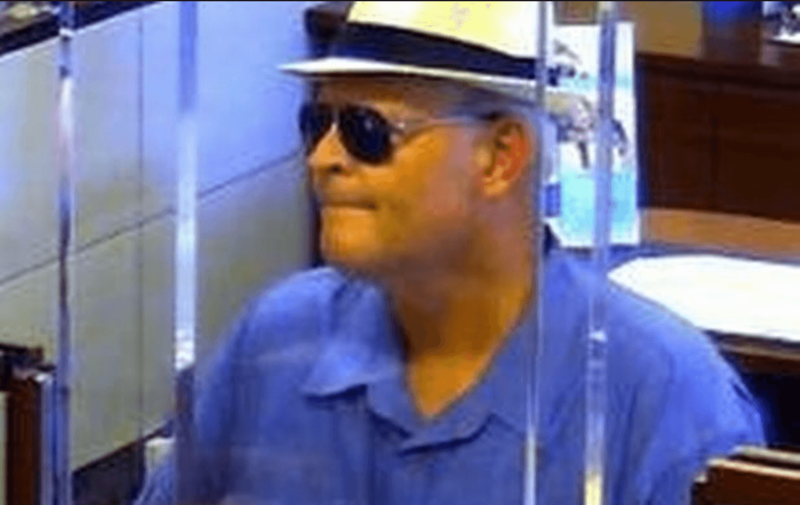 One that would see him getting hooked on heroin and, finally, taking on the mantle of the “Seasoned Bandit”—a notorious bank robber. Who Won the Lottery More Than 100 Times? As unbelievable as it sounds, there are players out there who have won the lottery more than 100 times. It’s true! These so-called “Frequent Fliers” have defied the odds over and over—racking up thousands, if not millions in winnings over time. Ask Clarence W. Jones, a self-proclaimed “professional gambler” who has won over 10,000 times! Thanks to astronomical odds, you’d need a copious amount of luck to win the lottery. Even more so when jackpots reach record highs. And if that’s the case, then the biggest winners of all time are definitely the luckiest people on Earth! Get to know who they are and what their stories are! When NY city cop Robert Cunningham offered longtime friend Phyllis Penzo, a waitress, to split a lottery ticket in place of a tip, little did the two know that they would actually win. That’s right, Cunningham ended up winning after all, and true to his promise, shared the $6 million prize right down the middle. The story even became the inspiration of the 1994 movie It Could Happen to You. If you had the chance to remain anonymous after a lottery win, would you take it? Sadly, a lot of countries require lottery winners to come out in public. But in China, things work a lot differently. 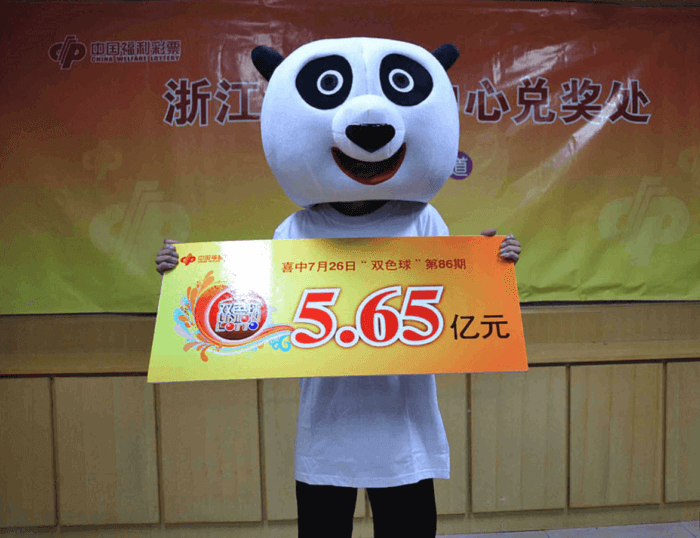 Although winners are still required to appear in public, officials are supportive of player anonymity. That’s why winners have come up with a clever solution: wear wacky costumes! These are some of their stories. 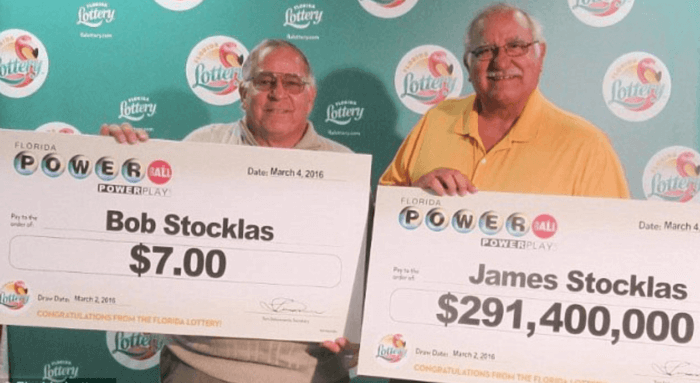 In 2016, two brothers bought two lottery tickets each. As luck would have it, both ended up winning! Even better, they had a combined prize total of a little over $290 million. Awesome, right? There’s just one problem: one brother only won $7! And just like that, their story became the talk of the town (and, eventually, the internet). 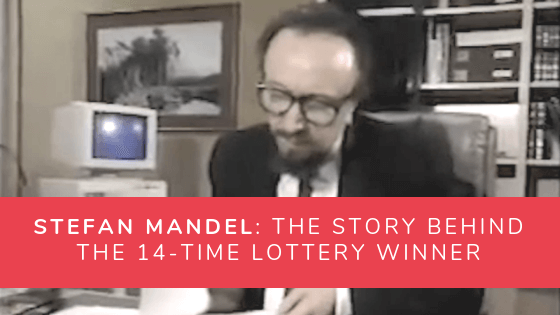 Many lottery winners have fallen victim to the lottery curse, but none are as unlucky and tragic as these five. Burglary, debt, sexual assault allegations, lawsuits, loved ones overdosing on drugs—and that’s just the experiences of one winner! Find out more about their terrible tales here. A word of warning: it’s not for the faint of heart! Richard Lustig: Clever Lottery Winner or Scammer? From the 1990s up to the early 2000s, Richard Lustig won the lottery 7 times—racking up over $1,052,205.58 in winnings. Naturally, he became the talk of the town, eventually becoming somewhat of a lottery legend. And because he was a shrewd businessman, he capitalized on his fame by writing a book on how to win the lottery. 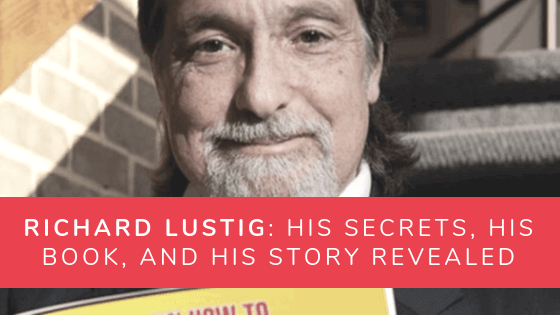 Titled “Learn How to Increase Your Chances of Winning the Lottery,” Lustig’s book became an instant bestseller. Some critics say, however, that’s it’s all a huge cash grab! Is it true, or has Richard Lustig truly found the secret recipe for winning the lottery? 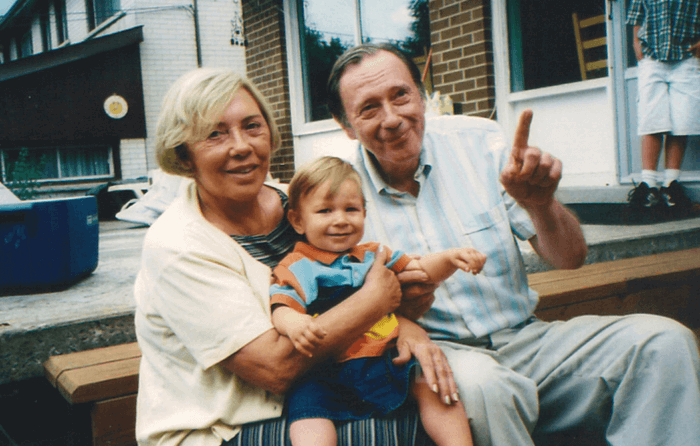 For years, Aura Dominguez Canto tirelessly worked to support her children. Unfortunately, things weren’t going smoothly for her. She needed money badly, working herself to the bone despite being retired. 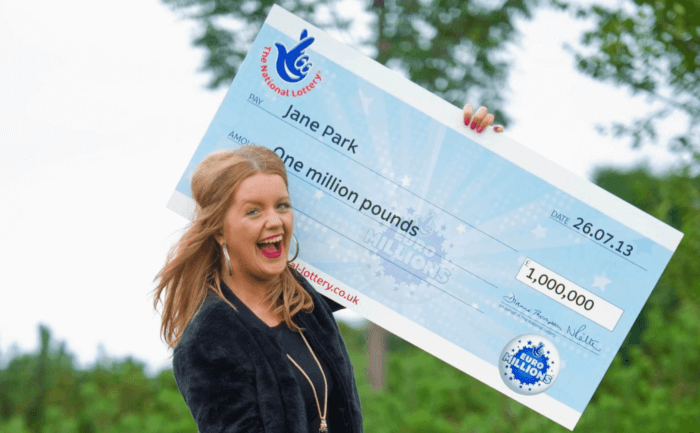 Inspired by the story of Euromillions winner Jane Park, Aura decided to play online lottery. With luck, persistence, and the help of theLotter, she finally won after several losses. And boy, did she win big—more than enough to support her children and allow her to retire for real! 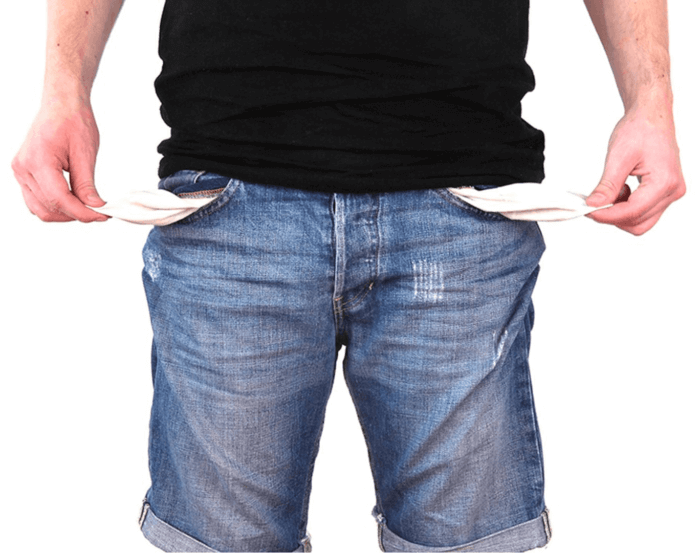 Why Do Many Lottery Winners End Up Broke? There’s a reason why many people think lottery winners are cursed. Lottery winners ending up broke is a tale as old as time. But why is it so common? The answers aren’t as simple as you’d think! External factors—like opportunistic friends or family—are a given. But did you know mismanagement has just as much to do with it as getting hooked on vices? Most people would have called it a day after winning thousands of dollars in the lottery. But Adam Osmond is unlike most people. He’s what you’d call a compulsive gambler, otherwise known as a gambling addict. 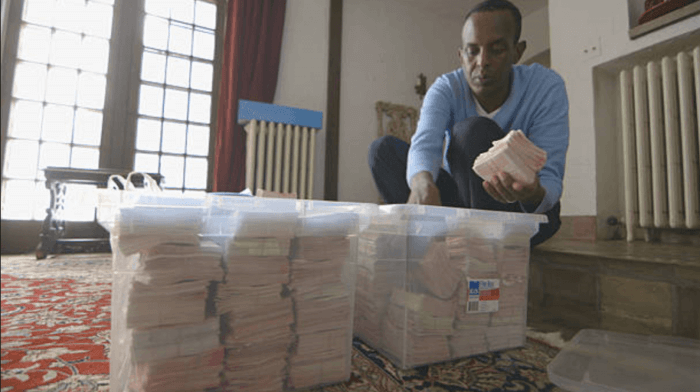 He became so addicted to the lottery that even when he won $50,000, he felt that he needed to outdo it! Adam fell into a nasty cycle and ended up with $250,000 worth of tickets. What became of him? Get to know more about him here! 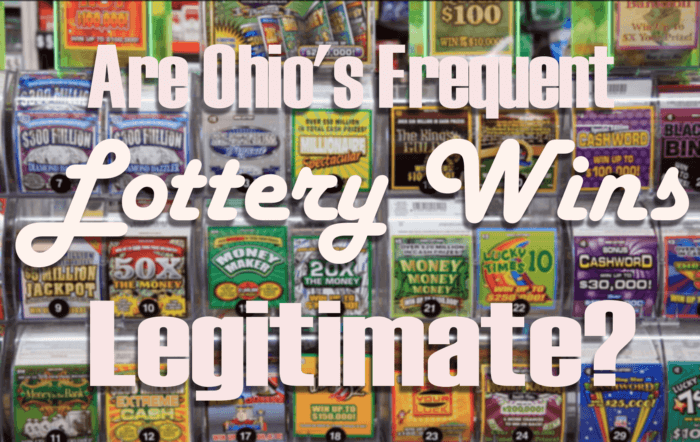 Along with Massachusetts, New York, Illinois and Georgia, a 2014 database analysis revealed that Ohio has some of the luckiest players in the industry. How lucky? The analysis found that the state had a high number of repeat winners. One resident, for instance, won over 342 times! What’s up with Ohio? Are the wins even legitimate? Lottery Winner Unknowingly Weds Granddaughter?? In 2016, various online outlets ran a story so outrageous that it became somewhat of a viral hit. 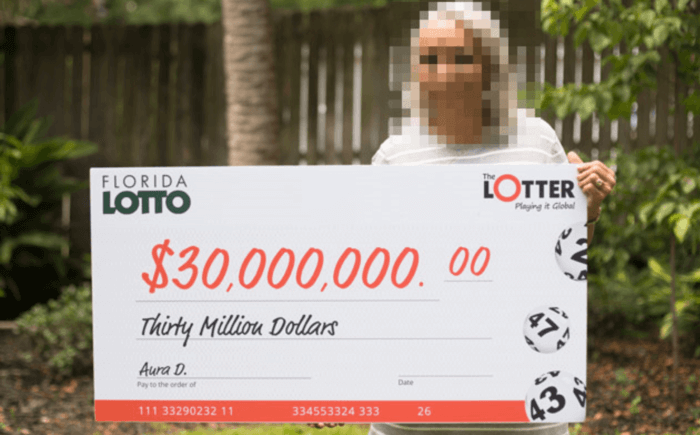 The story goes that a 68-year-old lottery winner from Florida (check out our Florida Lottery Results) fell in love and married a 24-year-old woman. They were on their way to their happily ever after when, 3 months in, they discovered a shocking truth. As it turned out, the lottery winner was the woman’s estranged grandfather! 😳Is this real life, or is it just fantasy? 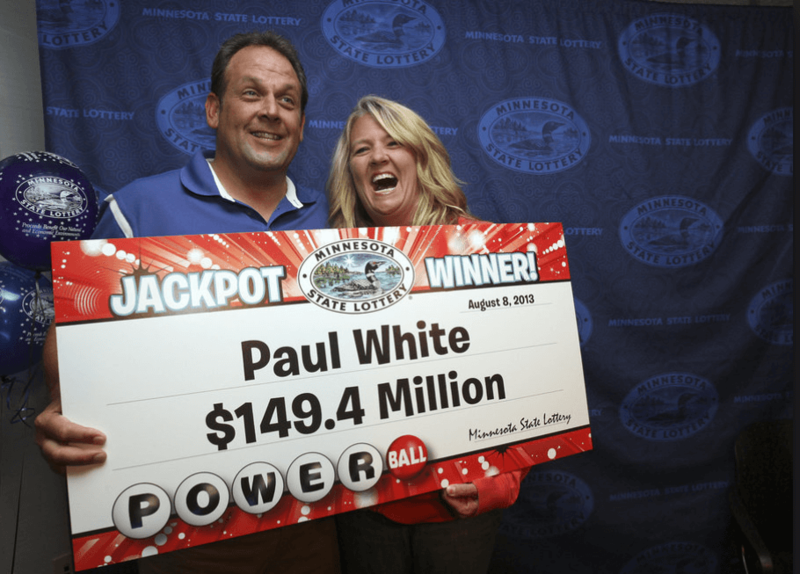 2013 Powerball jackpot winner Paul White was injured in a car crash last March 6, 2018. White was with his girlfriend, her daughter, and 14 other people when a Ford F-150 hit their van, causing their vehicle to roll over multiple times. They had one casualty—18-year-old Lauren VanReese, daughter of White’s girlfriend. The others only sustained injuries. Mistake Leads to Big Win! How many mistakes have turned out to be in your favor? Not many, I’m guessing! And if it ever happened, the event itself isn’t life changing anyway. And then there are people like Oksana Zaharov. 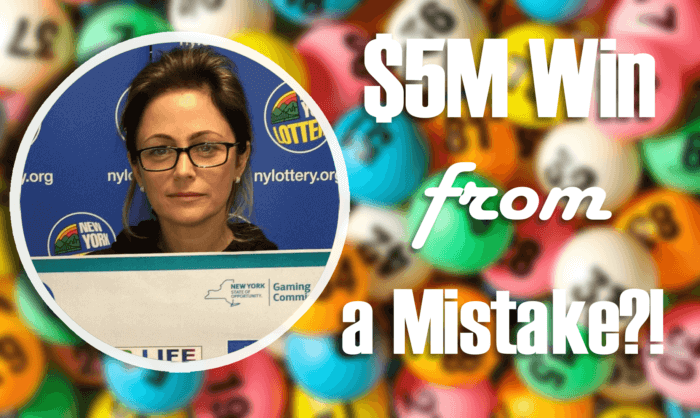 The 40-something mother of two got the shock of her life when she won $5 million—from a scratch-off that was mistakenly sold to her! The whole story, inside. 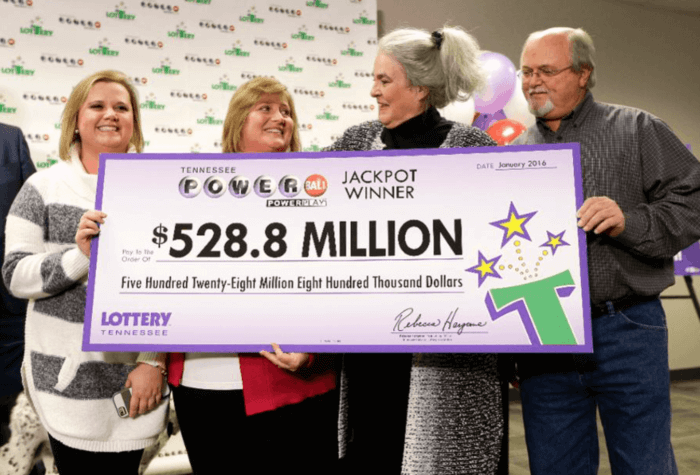 After several rollovers, someone finally won the $457 million US Powerball jackpot on March 17, 2018. It was the eighth largest win in all of Powerball history. And it’s also one of the biggest won by a single winner! The winning ticket was sold in a convenience store in Pennsylvania. More details inside. A New Hampshire Powerball winner seeking to remain anonymous has taken her plea to court. The woman going by Jane Doe is said to be losing approximately $14,000 a day every time the resolution gets delayed. Is privacy really worth all this trouble? 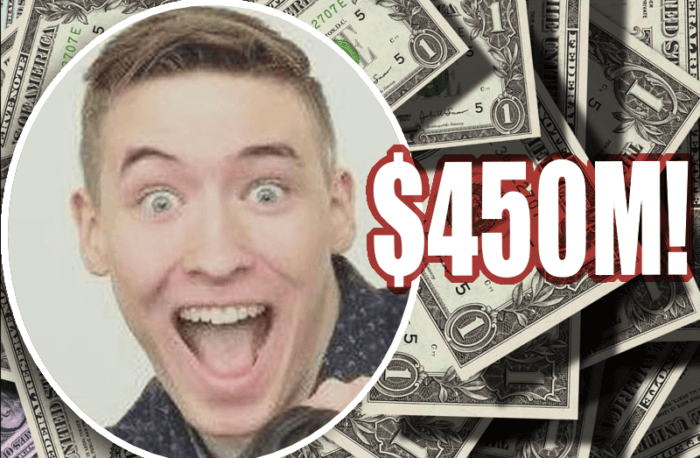 Apparently, losing $14k a day was worth it for Jane Doe after all! Not long after filing her motion with the court, the New Hampshire Lottery Commission allowed her to start receiving portions of her $560 million jackpot. On top of that, she was also allowed to employ a trust to receive the winnings on her behalf. Could she finally be allowed to remain anonymous? Only time will tell! They say that if you really want something, you must work for it. Consistency is key. And that’s exactly what 10 employees from Ethan Allen did to win the lottery. 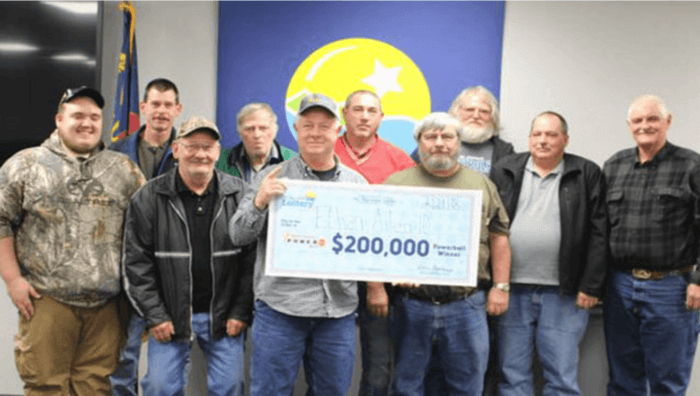 For three years, the group has been religiously playing the lottery, hoping to win one day. Finally, on January 20, 2018, their prayers were answered. The group won $200,000 at the Powerball, taking home $14,100 each after taxes. Not bad, right? After several months of rollovers, the sole $450 million Mega Millions winner has finally been identified! The lucky winner? 20-year-old Shane Missler from Port Richey, Florida. 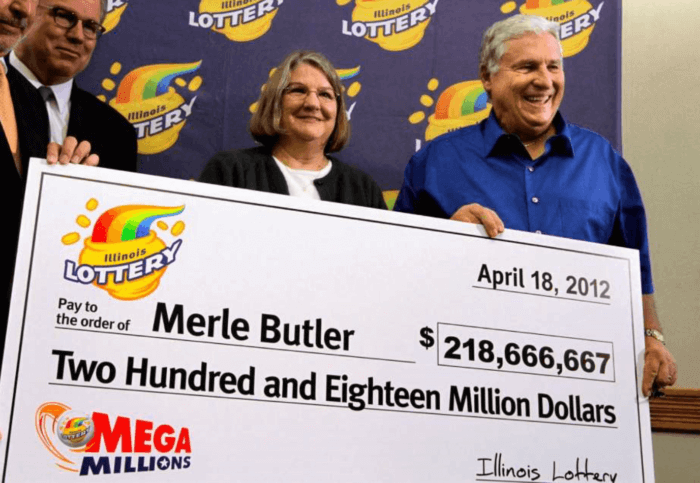 Like most winners, he chose the lump sum option, taking home $281,874,999.00 after taxes. On January 11, 2018, a commotion inside the St. Louis County Courthouse suddenly erupted. But it wasn’t one of sadness nor anger. Rather, it was one of pure joy! You see, a group of 22 courthouse workers won $250,000 at the Powerball. Split evenly and after taxes, each would take home $7,500. Now that certainly calls for a celebration, don’t you think? 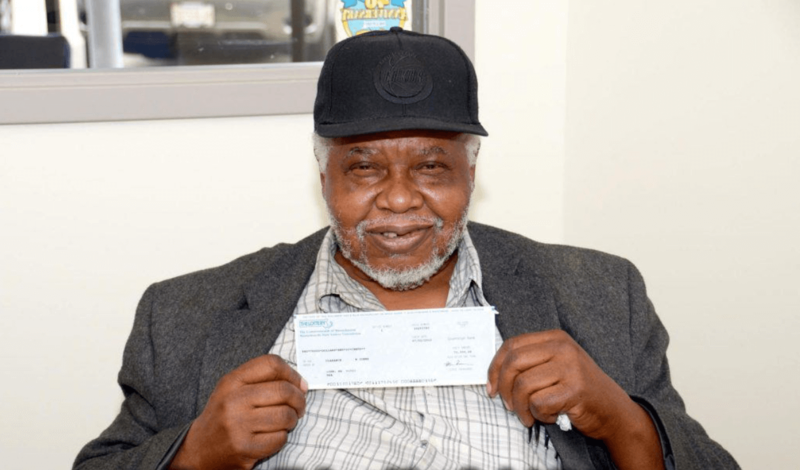 A 56-year-old Jamaican bus driver from Brooklyn made history in his state with the second-largest Powerball jackpot win by a New Yorker. After playing the massive lottery games like Powerball and Mega Millions religiously, David Johnson finally won big — to the tune of $298 million. What would you buy if you had £4.5 million lying around? For that much moolah, you could buy a really expensive car or a 30-second ad spot at the Super Bowl! 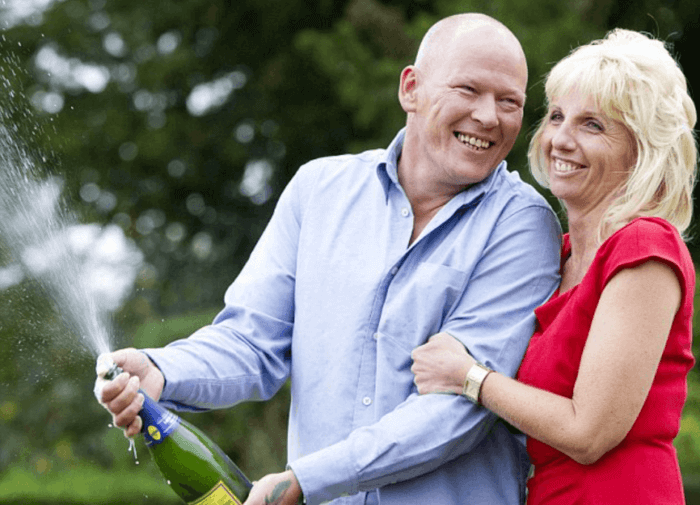 But Dave and Angela Dawes, winners of the £101m Euromillions jackpot in 2011, had their sights on something else. The pair recently bought a luxury flat in West London that used to belong to popular Welsh singer Tom Jones. The manor comes with six bedrooms and even its own private cinema. Not a bad investment, if I may say so myself! A Dublin woman wishing to be anonymous found a forgotten winning ticket during one post-Christmas cleanup. She had bought the ticket October of 2017 during one of her trips down the country but quickly forgot about it. Had the ticket remain unfound, the woman would have lost the chance to take home €1 million! That would have been heartbreaking! Glenda Blackwell only wanted to show her husband that lottery tickets were a waste of money. Asked to buy Powerball tickets, she bought a scratch-off game ticket instead. 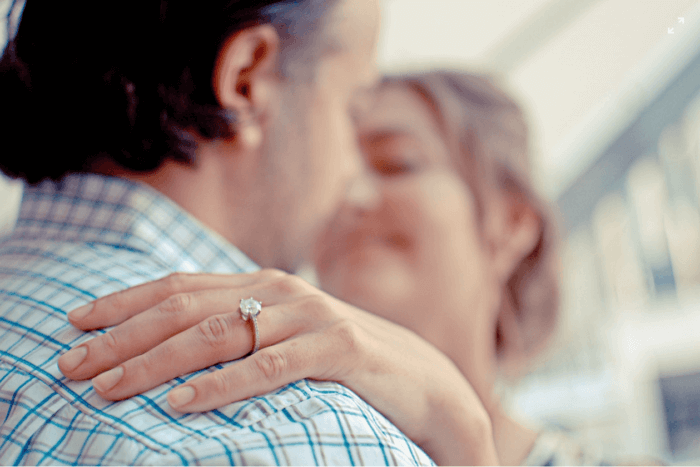 Her spur-of-the-moment decision did end with someone being schooled — but it wasn’t her husband. Glenda Blackwell ate her words when she found out she was the North Carolina Education Lottery’s newest $1 million winner!